In the late 1960's, Harold Ruth noticed a building across the street from the old location of the Montana Fish and Game on Lake Elmo Drive. 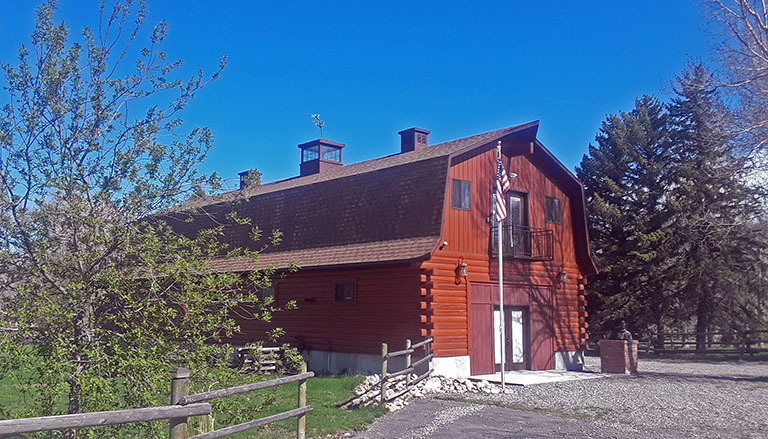 He purchased the old barn and moved it closer to Main Street in Billings. The name of the gallery was The Brown Barn. A few years later, Harold Ruth purchased some land up Alkali Creek where he built his home. Along with his residence, he built another structure just as one came up Alkali Creek on his property. Harold told me he planned the building as a spec home in case his gallery did not make it then he could in turn sell it. The building or house had a barn wood finish in the interior. Down in the basement was a wooded sidewalk with loose gravel around it. In the basement was an old vault he had found. I asked him why the door to it was always ajar. He told me then people would not know if there were works which just came in or were going out. The gallery was called Gallery 85. Harold Ruth was known by some as “ruthless Ruth” but one thing about him was he was very direct. He would give a person direct answers and his art knowledge was beyond reproach. The showings at the gallery were just phenomenal. In the early 1980's, Harold Ruth sold the gallery and I just did not have the funding to purchase it. 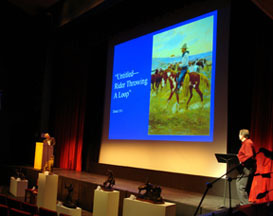 Later when we opened our gallery in Laurel, Montana in 1989 I reached out to my mentor, Harold Ruth. He told me if I had good artwork the collectors would come. Harold introduced me to the artists such as J. K. Ralston, Hans Kleiber, Bill Gollings, Richard Bishop, and again to working decoys. 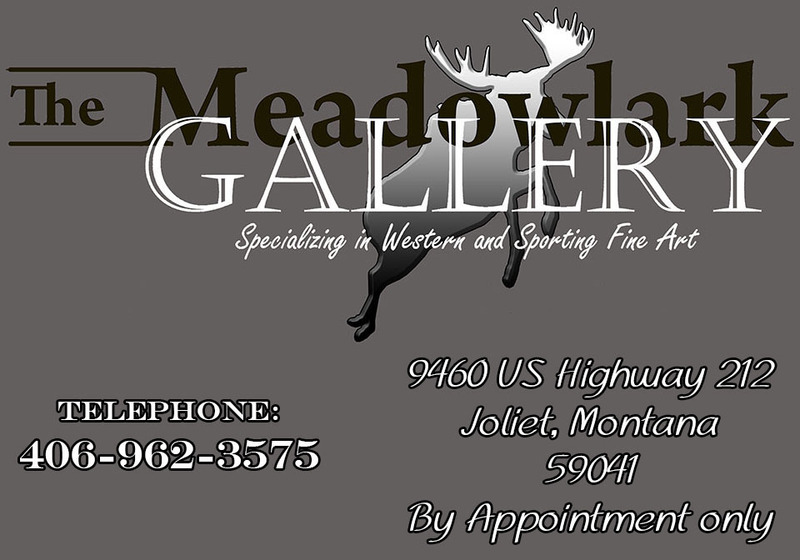 The Meadowlark Gallery evolved and in 2003 we moved to an even more wonderful location in Billings, Montana. 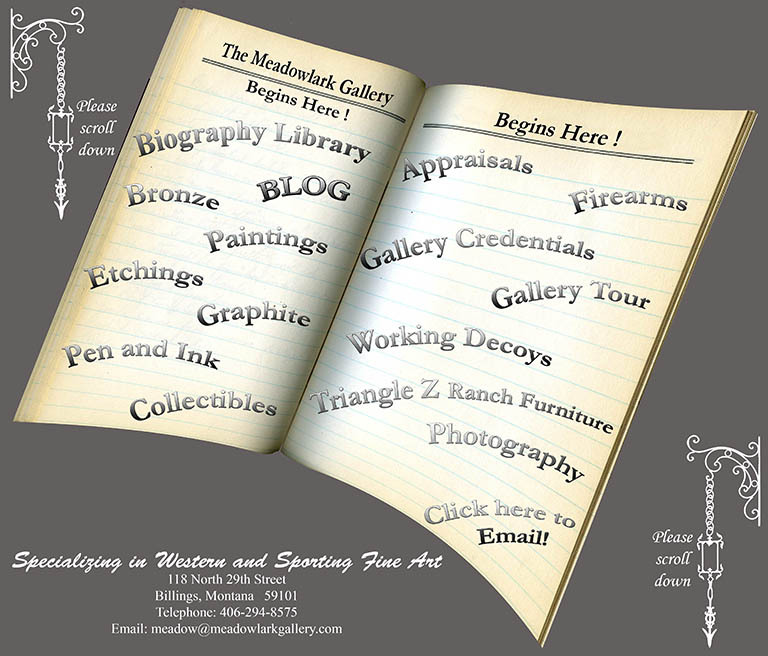 Now we are moving again to a new location but with a wonderful background theme of the brown gallery art barn. Our new location will be by appointment only but we are only a phone call away. Harold Ruth would be proud for we have come full circle. 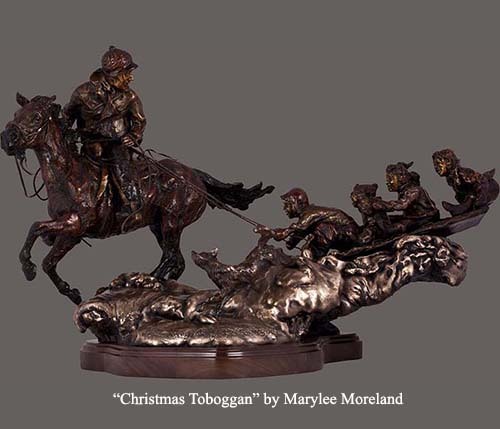 Whatever your level of collecting, one is greeted with a large selection of western and sporting fine art paintings, etchings, and bronze works. Remember the coffee pot is always on. 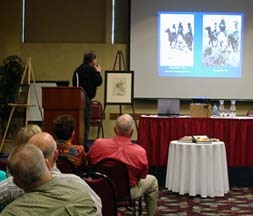 Seminars by the author are available, please contact us.